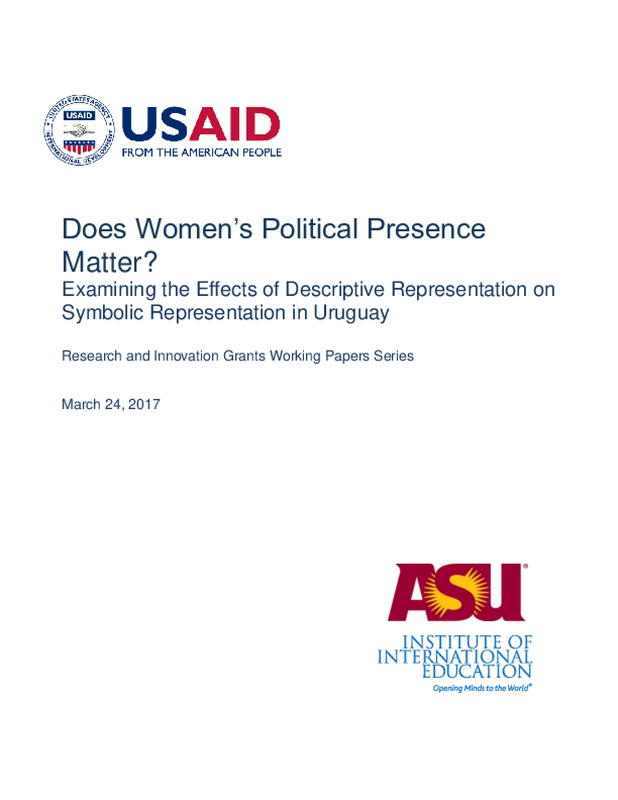 The ASU research team studied how women's descriptive, substantive, and symbolic political representation is affected by legislation that establishes quotas for the number of women serving in parliament. The team conducted their research in Uruguay, taking advantage of a five-year lag between when the gender quota law was passed (2009) and the elections for which it was first implemented (October 2014) to conduct a natural experiment on the law's effects, independent of those attributed to its drafting and passage. The ASU team implemented a two-wave survey, before and after quota implementation, and compared those survey results to content analyses of election coverage, legislators' floor speeches and websites, and bill sponsorship.